A Senior Generalist at ILM's Singapore Office shares what he's doing outside of the office. HOW DID YOU BECOME ATTACHED TO THE PROJECT? For almost two years now I have been directing and writing projects together with my friend Sil van der Woerd whom I know from my time at Gnomon school of Visual Effects in LA, when I was studying there. We aim to make films about stories that matter, especially when those in disadvantage can’t speak for themselves. The pollution of our oceans is one of the most important stories of our time and for a while we’ve been exploring ways to make a video that touches on this topic. When we heard Ali’s (Novo Amor) song, Birthplace, the specific idea for this video came to us almost in a flash. We have been collaborating with Ali for a while and we were fortunate enough to get the opportunity to create the video for the single. HAD YOU DIRECTED MUSIC VIDEOS BEFORE? I have been directing projects for little over four years now, starting with short films and later venturing into music videos. Recently I have mainly been doing music videos, it is a great platform to experiment and guarantees an audience for your work. I have also been very lucky to collaborate with musicians that allow me full creative freedom which is incredible. HOW WAS THE CONCEPT DEVISED? The concept for Birthplace came from the essence of what we wanted to achieve; how do we raise awareness for such a depressing topic in a new way that would catch peoples’ attention. People are triggered in a different way when you tell a story or inspire them instead of showing them purely the horrific reality. We want the audience to fall in love with the beauty of the ocean and see that it is perfect, and then we want to break their hearts and hopefully inspire them to become active and fight for change. WHAT WERE THE CHALLENGES OF THIS PROJECT? As a director the biggest challenge was communication. Filming underwater is very different from a normal film set where you can say to your actor or cinematographer, ‘look up’ or ‘go slower’. 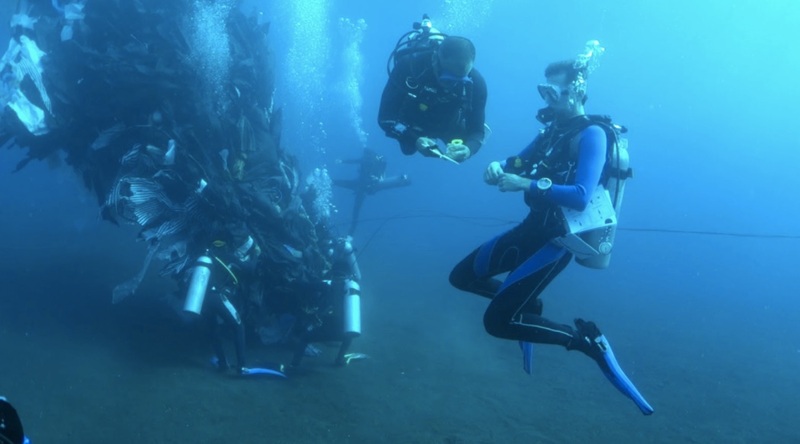 When you have four divers steering a 13 meter long plastic whale at 10m depth underwater, and an actor who is practically blind because he isn’t wearing a diving mask it can be hard to get everyone in the right place at the right moment. Luckily we had Nihal Friedel by our side. Nihal is a Lighting Supervisor here at ILM’s Singapore office and specializes in underwater cinematography in his free time, and is an absolute pro. His experience in diving and filming underwater was an essential piece in the puzzle to make this video happen. Controlling a 13m whale sculpture underwater was a huge challenge but we worked with an excellent diving team that practiced with it before the shoot, so they had an idea of how to move it around. Funny enough, the more challenging part of the shoot turned out to be the wildlife since you can’t control or plan that. Many times we were waiting for a manta ray to show up or for a school of fish to be in the right place at the right time, waiting for that one moment of luck where everything is just right and comes together to get the perfect shot. The currents proved another challenge to the entire underwater team. In Komodo they would pick up rapidly and suddenly change direction. On some occasions we decided to just let the current take us and then have the boat collect us wherever we ended up. HOW DID YOUR BACKGROUND AT ILM HELP YOU PROBLEM SOLVE OR INSPIRE ANY SOLUTIONS? Of course, you are more comfortable on set knowing what you can and can’t fix or solve in post production. But besides that, understanding how to communicate, motivate, and work with different people is something that I am constantly trying to get better at. Working with different VFX Supervisors and Leads shows you different methods of leadership, which you can learn a lot from. ARE ALL OF THE UNDERWATER SHOTS REAL OR ARE THERE ANY VFX SHOTS? Everything is 100% shot in camera! We really tried to do it all for real and only use VFX to clean up some of the images or enhance it slightly. We used VFX to remove diver bubbles that showed up in the shots and also the ropes which were used to pull the whale forward. WHERE WAS THIS VIDEO SHOT? We filmed in two locations. 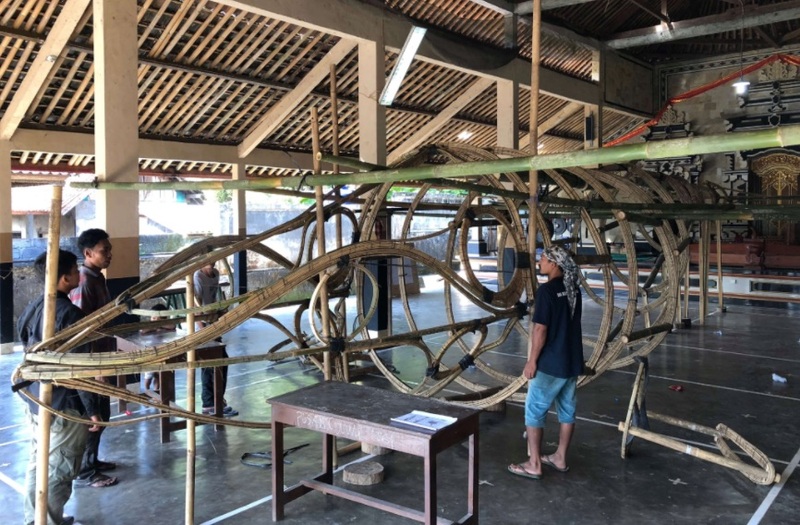 The first was Amed, in Bali, which we chose because our production team found a group of bamboo builders able to build the whale, and Amed features relatively calm waters where we could film the whale in the ocean. The second location was Komodo, where we filmed all the wildlife. Komodo was relatively close and offers some of the best reefs in the world, thus providing the perfect setting for the pristine ocean we wanted to show in the opening of the video. It is also a site that has good chances of seeing turtles and manta rays. HOW DID YOU BUILD THE PLASTIC WHALE? We designed the whale in Maya after a real size humpback whale. We broke this model into eight segments so that we could make the whale move underwater, and take it apart, move it onto trucks, and assemble it in the ocean. Included in the design was a strong spine, that ran to the tip of the nose where we attached a steel cable. Two divers were pulling the cable with 2 underwater scooters. Inside the whale were 2 more divers who each controlled the flapping motion of one fin. We also equipped the design with two escape holes for the divers, and a mechanism to open the whale’s mouth. We brought the design to Dalbo, an art director on Bali, who moved a small army in his village to build the whale (there are 25 villagers credited). The whale consisted of non-sinking materials; bamboo and plastic. The bamboo was freshly cut from the forest, and then split and modeled into many thin layers to form a strong structure. The bamboo segments were wrapped with sorted plastic, and covered with fishing nets to which we attached lots of plastic bags and waste which we sourced from the area. WHAT’S YOUR FAVORITE MEMORY FROM WORKING ON THE VIDEO? The entire thing was one big wild adventure! Encountering 4-meter manta rays and turtles was definitely a magical experience. Coming eye to eye with these phenomenal creatures that are so calm and gracious was truly humbling and unforgettable. However, what I always treasure most on such projects are the people you meet along the way and the friendships you build. After going through such an intense process together, solving problems, overcoming fears and uncertainties, and experiencing so much in such a short time, you truly come out the other end as a big group of friends with a unique shared experience. That is living! HOW HAS IT FELT TO GET SUCH A POSITIVE RESPONSE TO THE PROJECT? It’s great to see people really understand and grab hold of the message and underlying meaning of the video. In the end, we created this to raise awareness for a pressing issue that we all need to talk about much more often. If we don’t halt the manufacturing of plastic products, there will be more plastic in the ocean than fish by 2050. If you start to educate yourself about the numbers it becomes clear that this is a massive problem that we all need to be aware of. Hopefully, the positive response we have had on the video can help start the conversation for people who previously weren’t aware of it. The press and awards nominations also really help to get the message out there. ANYTHING ELSE YOU’D LIKE PEOPLE TO KNOW ABOUT ‘BIRTHPLACE’? Making the video was like a deep meditation on the subject of plastic pollution, and we became much more aware of how waste and plastics are disposed of and how little we actually recycle. With this newly learned knowledge we now try to bring awareness to people around us and encourage them to become involved too, in solving this massive problem. We hope that people will educate themselves and learn how they can improve their day to day lives to make the situation better. We collected a lot of information for people to make this process easier. Read all about it here.